Although a number of diverse adverse events are reported in association with statin therapy, tendon disorders have not been recognised. CARM has received five reports of tendon disorders with statin therapy - four of tendonitis (two each with atorvastatin and simvastatin) and one of tendon rupture with simvastatin. The five CARM case reports (affecting four men and one woman) reflect a consistent pattern of tendonopathy occurring within six-months of initiation of statin therapy. Two of the reports provide rechallenge evidence of tendonopathy with atorvastatin. A search of the WHO database revealed 205 reports of tendonitis, tendon disorder or tendon rupture associated with statins. These occurred predominantly with simvastatin (n=71) and atorvastatin (n=58), although this may reflect the wider use of these agents. and resolved within a similar period. Members noted that CARM intends to submit this signal for publication, and no further action was recommended. There is much debate about what percentage of adverse events actually get reported. Is the rate 10% or is it less than 1%? Tendon, joint and muscle damage are known risks of statin use. I am of the opinion that these adverse effects are excessively downplayed to patients by the administering doctors. I have seen far too many cases of adverse effects, including catastrophic muscle damage to believe that these are rare events. I am presently assisting two distance runners who have developed a painful condition called osteitis pubis. 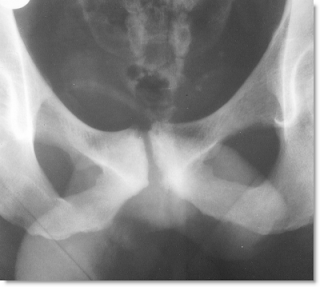 This is an arthritic condition affecting the semi-mobile joint where the two halves of the pelvic bones join at the pubis. The only common connection other than both being runners over 40 years old is each are taking a statin drug to reduce "high" cholesterol. I think this is more than just coincidence. Warning: If you are going to stop taking a statin drug, do so gradually over about 2-4 weeks. Please consult your doctor first and ask about the non drug alternatives, including diet and nutritional supplements. If your doctor dismisses these alternatives, or appears to not know of these and how they work, then I suggest you look elsewhere for effective health care.